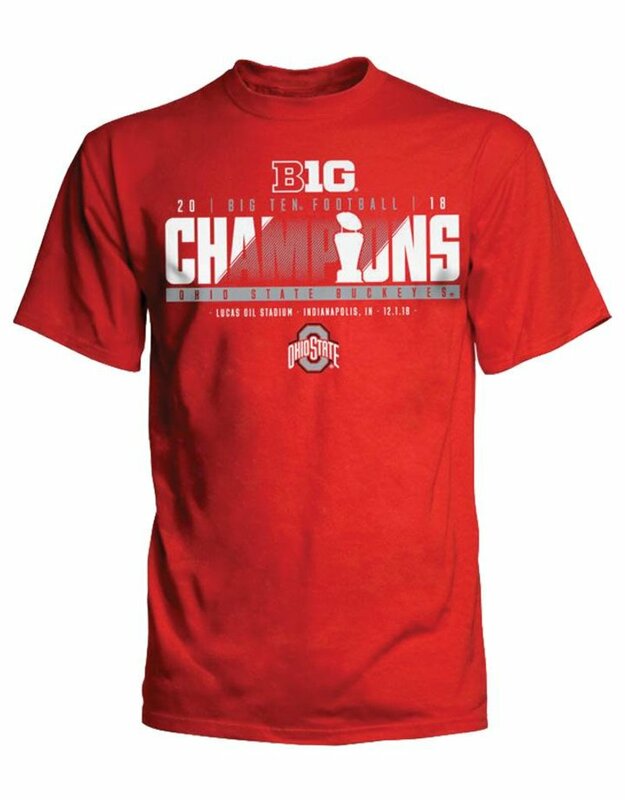 Tell the world how proud you are to be a loyal Ohio State Buckeyes fan when you grab this 2018 Big Ten Football Champions Locker Room T-Shirt. This sweet gear is the perfect addition to your wardrobe for celebrating your team's huge victory. 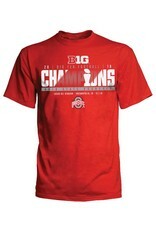 The bold Ohio State Buckeyes graphics will make this your go-to top for game days and every day. ALL SALES ARE FINAL ON BOWL MERCHANDISE. SIZE EXCHANGE ONLY.